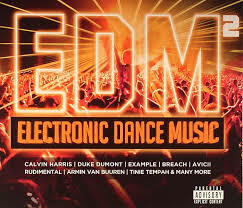 Electronic dance music is a type of music designed for used in dance based entertainment. You can often hear the disc jockey playing this type of music in a non stop marathon at the radio station. In the USA, the music is called EDM but it is commonly referred as dance music in the UK. The American music industry started to use the term EDM in 2010. from that time onwards, the acronym is being used in music press. Disco music become unpopular in the 1970s. Starting in the 1970s, disco music started to deviate away from the original orchestration. One example is Giorgio Moroder teaming up with Donna Summer to create the I Feel Love song. By the 1990s, electronic dance music has only limited popularity in United States but the famous singer Madonna debut a song called Ray of Light which have grab the attention of listeners. At this time, other artist also starts to get famous from there electronic song label. For example, Dutch producer Tiësto, produce an electronic dance song for the opening of the 2004 Summer Olympics. Some of the famous artists that are well known for mixing EDM music are Carl Cox, and Markus Schulz. There are many styles of EDM music including electro, techno, dubstep, moombahton and trip hop. House music is first invented in Chicago, Illinois in the 1980s. It is one of the most common music used in the top mixes. Some of the famous music Djs for house music are. Electro music contain notes of drum machines and electronic sounds. Dubstep music is a type of music that contains a mix of bass, jungle, drum, and clipped samples. Dubstep is an electronic dance music was created in 1990 in South London. Moombahton, invented by Dave Nada, is made from combining the elements of house music and reggaeton. Trip hop is an electronic music that first appear in Bristol. The music is an experimental version of breakbeat based on the bristol sound. It features a mix of jazz, and soul. There are a lot of online music sites that let you listen to EDM music live via podcast. However, if you want to listen to the music on your own MP3 player offline, you will have to download it from the music download sites. The one important thing you need to remember when downloading free electronic dance music is that the music download site must be secure from spyware and malware. If the site has a lot of pop ups or pop under, it is best to look for another music download site as there is a high chance that the music you download contain virus which can infect your computer system. You can visit this link to download free electronic dance music. Next : All Car Related Solutions – Now At Your Door Step! !